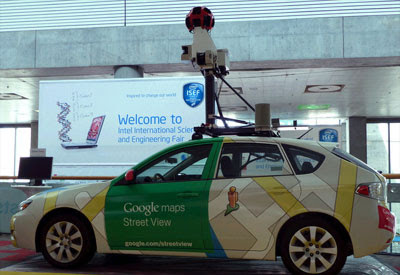 The Street View car has been seriously pimped with a nice new spray job and some serious equipment - some of which will now be removed. 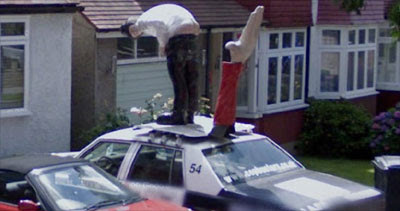 Google Sightseeing found this rather strangely decorated car in the Street View imagery of London. It shows the LAPD's latest smack-a-matic police car. What it's doing in London is anyone's guess.